I love this card, it is so simple yet fun and perfect for gift giving. I made this card at the Jillibean Soup Card Bar also. 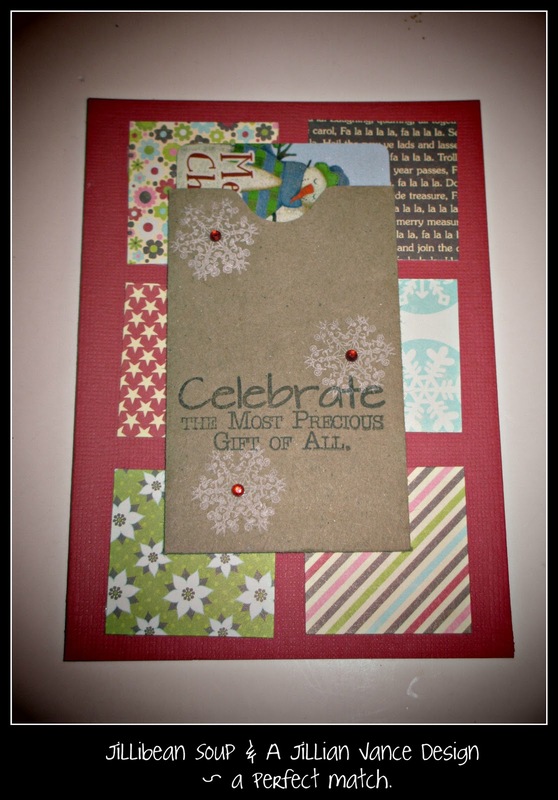 It is a Kraft card base with squares of printed Jillibean Soup paper evenly spaced with a Gift Card pocket on the front! 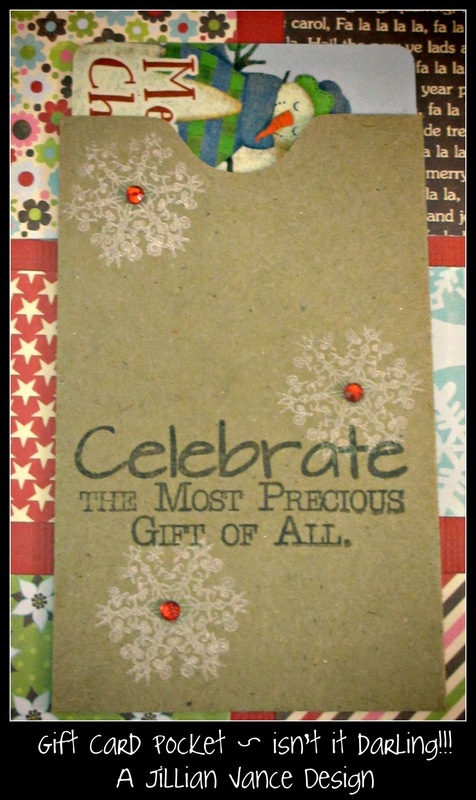 Stamped with our Just Snowflakes Stamp found HERE in Whisper White Craft Ink by Stampin Up. 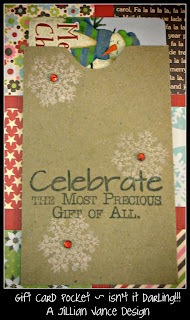 The sentiment is from Christmas Blessings Stamp set found HERE and is stamped in Coffee Archival Ink. I totally love this! Have been pinning your stuff to my pintrest account, can you tell me how to add the "pin it" button to my blog? Please shoot me an email if you get a chance! Love what you guys are doing!